The Federal Gift Tax—How Much Will You Have to Pay? The U.S. federal gift tax is imposed on cash and properties that individuals give to others. It's paid by the donor, not the beneficiary of the gift, although the Internal Revenue Service has been known to look to the beneficiary for the tax when the donor doesn't pay up. The idea behind the tax is to prevent individuals from giving their money and property away during their lifetimes so it's not subject to an estate tax when they die. The IRS will collect now, or it will collect later...but it will collect. Fortunately, there are certain exemptions and exclusions that taxpayers can use to reduce and even eliminate this tax liability. The Internal Revenue Code provides for an annual exclusion, certain specific gift exclusions, and a lifetime exemption from the gift tax. What's a Gift in Tax Terms? 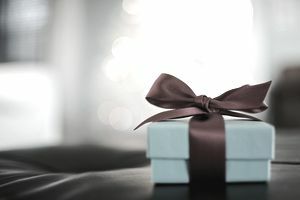 The IRS defines a gift as anything you give for which you don't receive "full consideration" in return. It's a gift if the beneficiary of your generosity doesn't also give you something of equal fair market value or money. Certain gifts aren't subject to the gift tax. A U.S. citizen can give up to $152,000 in cash or property to a spouse who is not a U.S. citizen. This limit is indexed for inflation, so it can be expected to increase marginally in 2019. The unlimited marital deduction applies to all gifts made by a U.S. citizen to a spouse who is also a U.S. citizen. You can give your spouse as much as you like without paying a gift tax. You can also give unlimited funds for education or healthcare as long as you pay the institutions directly. You can't give the money to the beneficiary so she can pay the providers or school herself. And you can stretch gifts to a 529 savings plans out over five years, dividing the total amount by five, to help you qualify for the annual gift tax exclusion each year. You just can't make any other gifts to the same beneficiary of the plan during this time. You can give to qualified charitable organizations and to some political organizations without incurring the tax as well. The annual gift tax exclusion is an amount you can give away per person, per year, tax-free. Gifts given as either lump sum amounts or as a series of amounts to the same person over the course of one year aren't taxed if the total doesn't exceed $15,000 as of 2019. The annual gift tax exclusion is applied individually, based on each gift recipient. You can give $15,000 in cash to your daughter in 2019, a $15,000 car to your son in that same year, a $15,000 diamond ring to your best friend, and $15,000 worth of stock to each of your grandkids. None of these recipients received more than the exclusion, so you've given $60,000 away without incurring the tax. Likewise, you could give your daughter $15,000 in December and another $15,000 in January without incurring the tax because the gifts occurred in two separate years. And each donor is entitled to this $15,000 exclusion, so you actually have a $30,000 limit per person per year if you're married and want to give from your joint property or funds. The lifetime gift tax exemption is the total amount you can give away tax-free over the course of your entire lifetime. It's a collective cap rather than by person or by year, and it's in addition to the annual exclusion. If you gave your daughter $30,000 all at once, $15,000 of that would be tax-free under the annual exclusion and the remaining $15,000 could be covered by the lifetime exemption if you elect this option. The American Taxpayer Act of 2013 (ATRA) indexed the lifetime exemption for inflation, so it increases year by year. But it's shared with the U.S. federal estate tax, so your lifetime gifts reduce the amount of exemption you have left to later shield your estate from taxation if you choose to apply it to your lifetime gifts over the exclusion amount. The federal estate tax and the gift tax share the same lifetime exemption. The Tax Cuts and Jobs Act (TCJA) spiked the exemption up to $11.18 million in 2018—effectively doubling it from the year before. It was adjusted to $11.4 million in 2019 to keep pace with inflation. But this is only a temporary measure because the TCJA will expire at the end of 2025 unless Congress acts to renew the legislation. Otherwise, the exemption could plummet back to the $5 million range. Let's say that you give away $10 million during your lifetime and you die in 2019. Your federal estate tax exemption would be just $1.4 million after all this giving—the balance of the exemption left over. If your estate and lifetime giving add up to more than $1.4 million, your estate will owe an estate tax on its value over that amount. But this lifetime exemption is per donor as well. You and your spouse actually have $2.8 million in exemptions to cover giving and your estate if you're married. If you gift $120,000 to your daughter in 2019, $105,000 of the gift is taxable because it exceeds the $15,000 annual exclusion by that amount. You can either pay the gift tax in that year, or you can charge it to your lifetime exemption. If you do the latter, your $105,000 taxable amount reduces your 2019 lifetime exemption from $11.4 million to $11,295,000. Taxable gifts must be reported to the IRS on Form 709, the United States Gift (and Generation-Skipping Transfer) tax return. The return is due on the same date as your personal income tax return, which is typically April 15 of the year after the year in which taxable gifts were made. This is how the IRS tracks how much of your lifetime exemption you've used up. You must file Form 709 to let the IRS know you're applying the gift to your lifetime exemption, or you can pay the gift tax at that time. If you do this, your lifetime exemption is unaffected. Generous individuals should make sure they understand how gifts they give their friends and loved ones can affect their tax liability. Consulting an accountant or an estate planning attorney can help you navigate these tricky, complicated waters.